Load-bearing walls have a very important job to do: bear the load of anything above them. They transfer the weight of the house to the foundation and down into the earth. While you can make changes to a load-bearing wall, it’s not a task that should be done without prior planning. Load-bearing walls support the structure of a house, including the roof, ceilings, and non-load bearing walls. Typically, the exterior walls of the house are load-bearing, but there are often load-bearing walls on the interior as well, providing support through the middle. If you’re planning a home remodeling project, make sure you’re informed before deciding to remove a load-bearing wall in a DIY project. How to tell if a wall is load-bearing. The easiest way to determine if a wall is holding up the weight of the house is to look underneath. Look for large beams, called floor joists, running under the wall. If the joist is directly under the wall in question, it is a load-bearing wall. Note: If a wall is not load-bearing, you’re free to move or demolish it, but be sure to locate elements of electrical, plumbing, HVAC or other systems the wall may conceal first. How to remove a load-bearing wall. 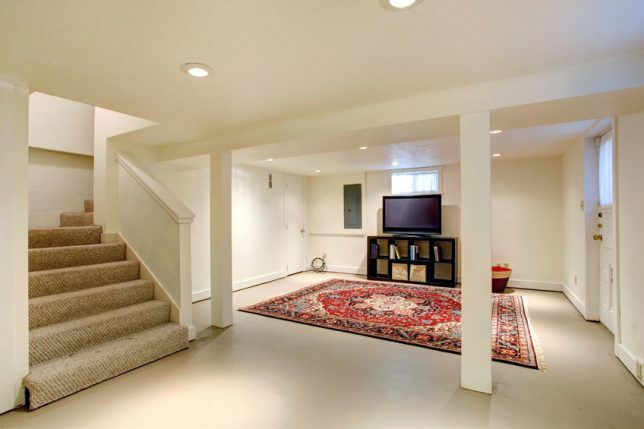 Taking out a load-bearing wall is a process that is best undertaken by a professional. Your house won’t collapse, but you can do a great deal of permanent damage to the structural integrity of your home by incorrectly removing it. In brief, you would strip the wall by removing the wallboard. Often, bearing walls are reinforced with concrete and/or steel bars. This needs to be removed. The final step is the most important part. You will begin removing the studs, but not until you have sturdy 2x4s or steel supports. As you take out the permanent supports, you need to put in temporary supports. The most common thing used to replace bearing walls are beams or girders. Depending on the load that you need to support, you can use a large wooden beam or a steel girder in its place. Often, these beams hang lower than the existing ceiling because they are much thicker than the wood needed for a floor. Putting in posts beneath a beam can help the structural integrity of the house. The weight being carried by the beam will need to be placed on other load-bearing walls. Putting posts in the span will lighten that load. DIY or call a home remodeling pro? You can do this yourself, but it might be better to employ a professional. A qualified contractor will have the tools and expertise needed to do this project without compromising the integrity of the house. If you’re considering major structural changes, Contractor Connection’s network of experts can help. To get a free estimate from a vetted and pre-qualified contractor in your area, just enter your ZIP code at the top of the page.